Yourstore is a Magento 2 Responsive Fashion Theme with extremely customizable admin settings. Suitable for every type of store. 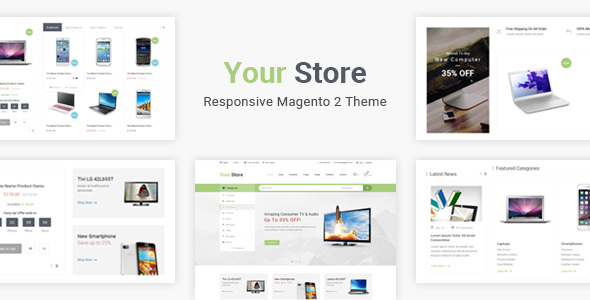 Yourstore is a Magento Theme which is supported by SEO standard of electronics major. Moreover, Fully Responsive design makes Yourstore to be compatible with all of mobile devices.